The coffee pods are the cleanest and easiest (more comfortable) way to take home,at work and in small places such as small hotels and restaurants,the real italian espresso. Often times ,even in bars, are used to prepare decafs. Mokaflor pods, made of paper down, are prepared with different blends. 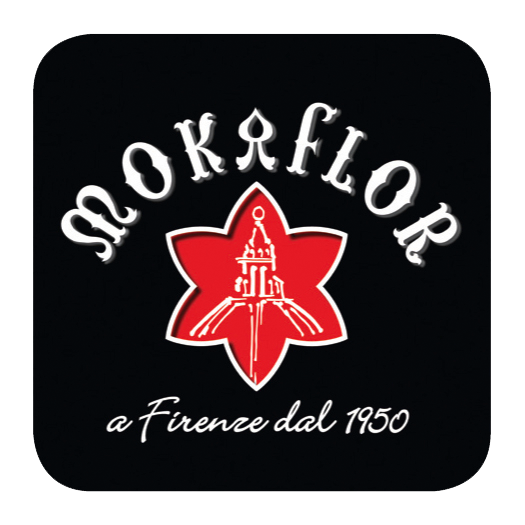 Dottore Andrea Bernini and his wife Angelika lead the traditions of Mokaflor in Florence. Tradition is just as important as innovation. The ESE espresso pads from Mokaflor should be tasted once. Mokaflorstands for high quality Italian coffee. Roasting coffee since the 50s, the Mokaflor is a company that is handed down from father to son. A choice of continuity toward familiarity and experience with the coffee product, an added value for a kind of work that still uses the human eye (in getting the exact shading of colour of the coffee in roasting) and the sense of taste (in evaluating the green coffee batches) as fundamental elements of the job. The lots of green coffee arrive in Florence, at the Mokaflor roasting plant, from every part of the world; Mexico, Guatemala, Brazil, India, Ethiopia, Java, Jamaica, Porto Rico, Hawaii and other areas. There is a direct relation with the producers; the company in fact stipulates multi-year contracts with the same producers: the best batches and the most consistent quality. (Mokaflor Website). The most innovative and convinient way to bring the Mokaflor premium espresso into your home or Office are those tasty ese pods. The Gran Crema Blend has an outstanding and substantial Character. 18 ESE Pods of ~7g each = 125g, E.S.E. 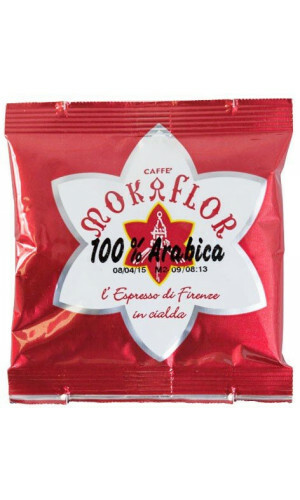 The Rosso blend of the traditional house Mokaflor from Florence is distinguished by a strong, powerful character.